Tune-up. Schedule an A/C tune-up annually. Best time is in spring, before the period of heavy use begins, or in fall, when you’re ready to “retire” the air conditioner till next year. Your air conditioning service pro should clean and inspect the system and test performance of key components. The tune-up optimally includes a report on the current condition of your A/C, and also recommendations on avoiding potential problems. TIP: Hands-on homeowners might want to watch the tune-up process to better understand how the system works. This will help you troubleshoot if anything goes wrong in future. Home service plan. 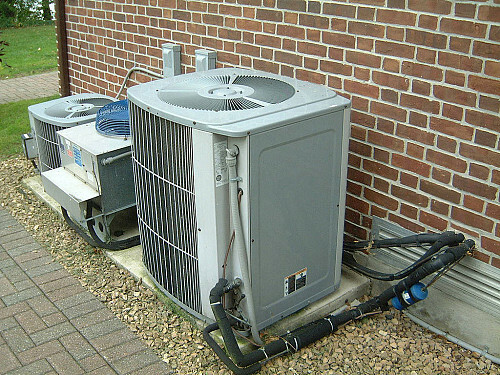 An air conditioning service contract with a reliable HVAC firm may be a good idea for several reasons. First of all, if you are juggling multiple responsibilities (and who isn’t, these days? ), you will have one item you can cross off your to-do list. Second, you’ll get priority scheduling for your air conditioning service – both tune-ups and emergency even during the busy season. Third, you will often benefit from preferred pricing and extended warranties on repairs. Before signing the contract, read the fine print to see exactly what it includes. Change the filter. No, you’re not looking at a typo. In the case of an upgrade, “change the filter” means start using a kind that will do a better job. Disposable A/C filters are cheap and convenient, but for more effective filtering of small particles such as mold and pollen, substitute electrostatic or preferably, pleated “allergy” filters. Add a smart thermostat. Install a smart thermostat – it’s a smart step to ensure that your house is cooled when you need it most without wasting A/C if you’re away from home or not using a particular room. Downsize. When it’s time to replace your old air conditioning, service pros advise that you can downsize for even more energy savings … provided you’ve done your homework first. That means sealing and insulating your home and your ductwork. Not only is a “right-sized” A/C system cheaper to run, it will last longer and experience less wear and tear due to overly frequent on-off cycling. Talk to an HVAC professional about the type of air conditioning you need.